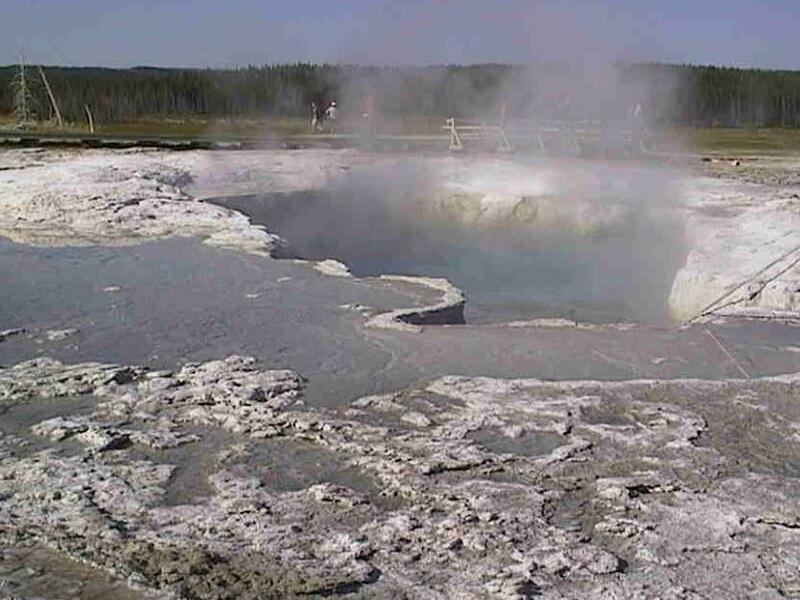 Fountain Geyser looks like a placid blue pool as its water slowly rises. This geyser gives little warning of its pending eruption, but when it does blow, it is one of the most beautiful geysers in the park. It erupts 10-50 feet (3-15 m) for 20 minutes or more.